Grab this very opportunity now!!! **Exclusive of fuel surcharge ranging from Php 200 - Php 300 and Terminal Fee ranging from Php 20 - 200. 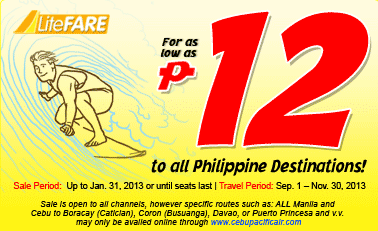 **Only for guest traveling from Manila. Exclusive of fuel surcharge ranging from Php 250 - Php 400. We got PROMO Fares for DUBAI!